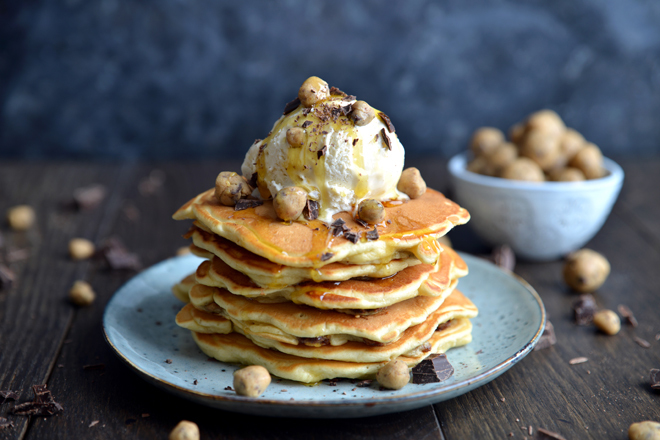 The first time I made this recipe I full on felt like Matilda...you know the scene where she makes pancakes and send me on my way starts playing I WOULD LIKE TO REACH OUT MY HAND.....no? If you don’t know what I’m talking about you should definitely go back and watch it; that film holds a special little place in my heart. When my sister and I were kids she always wanted to watch Madeline and I always wanted to watch Matilda, I was probably the one that always gave in but I’ve more than made up for it as an adult. Anyway... 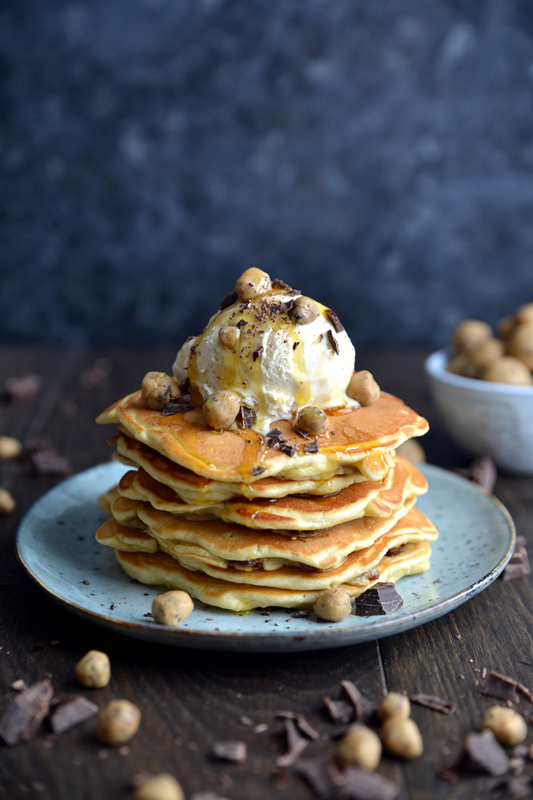 The scene where she eats the pancakes and she pours the batter in and they puff up; to me as a kid it was like magic! The only pancakes I grew up with were crepes so I’m sure you can imagine my amazement and this basic pancake recipe is exactly what I imagined cooking American pancakes was like. 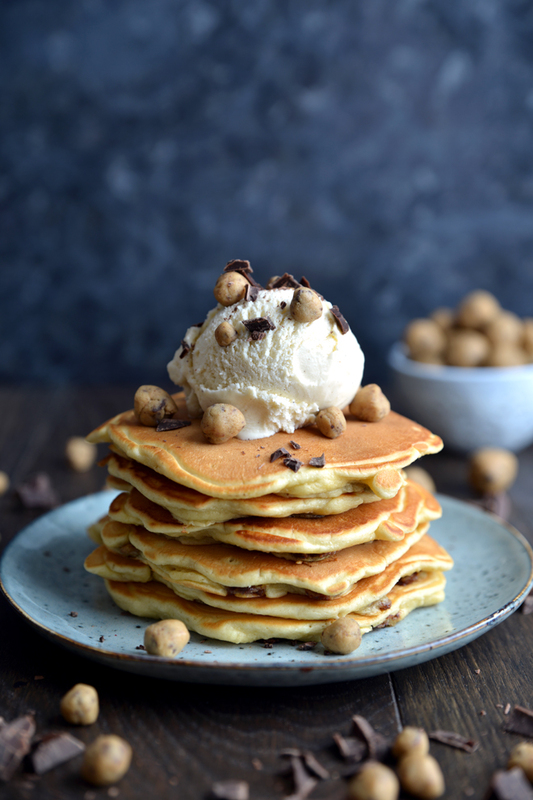 If you think these pancakes are just plain with toppings you are sorely mistaken, they’re filled with little ooey gooey balls of deliciousness...yes, I’m talking about cookie dough! These do take a little longer than just straight up making pancakes but they’re really simple and I promise you they are well worth it. First make the cookie dough. Beat the butter and sugar together until creamy, add in the golden syrup and beat again until smooth. Add in the rest of chocolate and flour then mix until everything is fully incorporated. Roll the dough into pea sized balls then set aside. 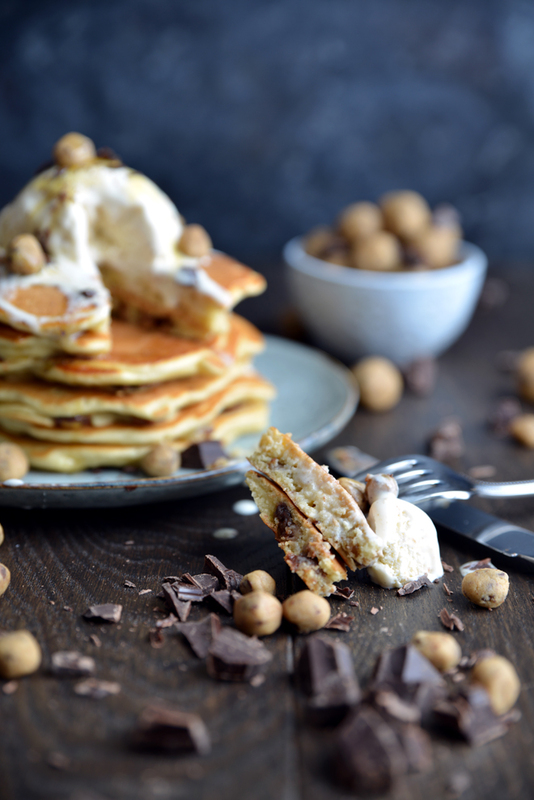 To make the pancake batter put the flour, baking powder and sugar in a bowl and mix. In a jug measure the milk, add the egg and melted butter and whisk together. Slowly add the milk mixture into the flour mixture and beat until you have a smooth batter. 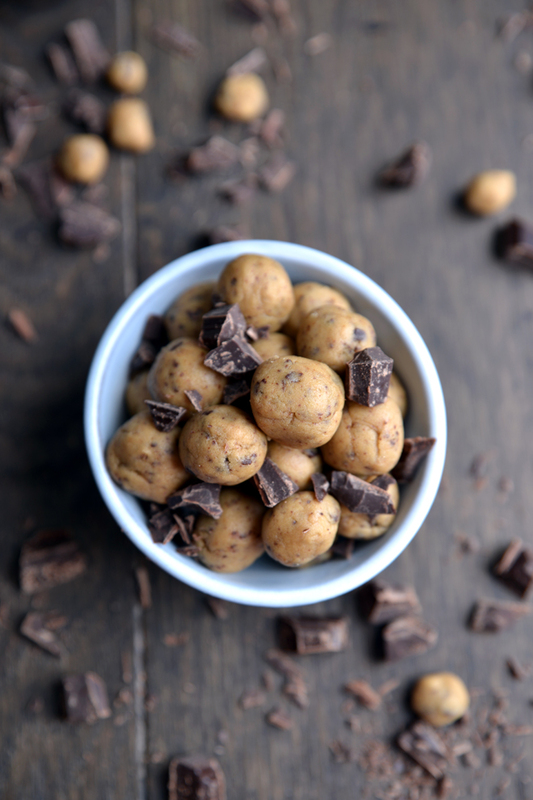 Add roughly ¾ of the cookie dough balls to the batter and gently mix. Heat a non stick flying pan over and medium to low heat and brush with melted butter. Gently ladle or spoon the batter into the pan and cook until bubbles form on the surface and flip, cook until both sides are golden brown. Repeat until all the batter is used up. 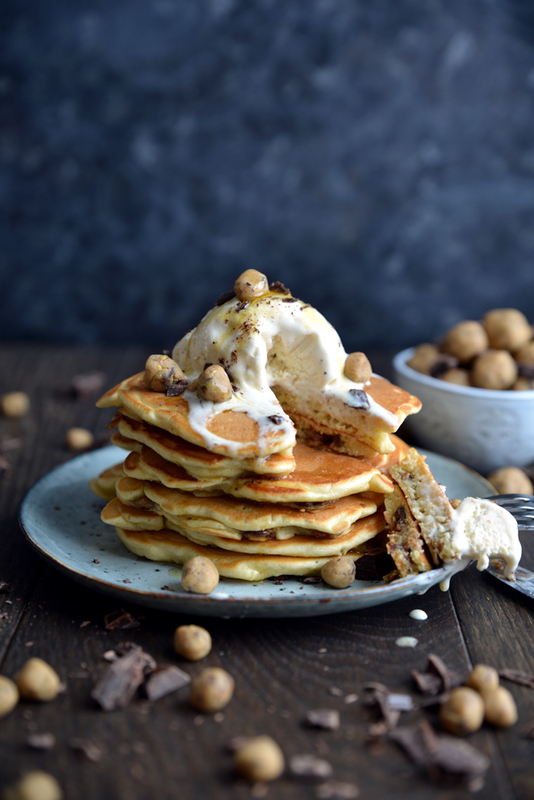 Once the pancakes are cooked top with ice cream, the rest of the cookie dough balls and drizzle with syrup. Makes about 6 pancakes depending on size. It's entertaining, I made hotcakes a day or two ago, at that point later in the mixture made treat batter truffles. In the event that exclusive I had been sufficiently shrewd to join the two! I adore this thought!